I love this legend about Jony Ive. He traveled to Japan to study how the Samurai Swords were made – to learn from a true master – and brought back that experience and insight into products made by Apple. Few Westerners have ever seen the forging of a Japanese samurai sword. It’s considered a sacred practice in Japan; one of the few traditional arts that has yet to be bettered by modern science. Japanese smiths work through the night (better to judge the heat of metal by eye) hammering, melting and forging by hand to produce the finest blades in the world. Once the blade is complete it is polished to a mirror finish, an elaborate procedure that itself can take weeks. The long and laborious process pushes metal to its absolute limit – which is precisely why Jonathan Ive wanted to see it first hand. Confectionery and computers don’t mix, but this is a stellar example of what’s possible when you get inspired from something beyond the common. 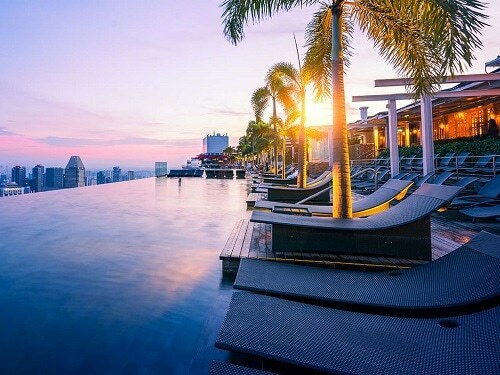 In the same vein, the Samsung Galaxy S3 had a design inspired from the pool on the top of Marina Bay Sands in Singapore. From the water falling towards the sky and the city, they wanted to create the same effect of water falling off the screen. Another example, this video shows how apple created a series of watch faces for the new Apple Watch 4. I love these implementations of bringing things from the physical world into our digital products. They appeal to our instincts at a deep level and make for a great, differentiated consumer experience. Worried about users or worried about UX?